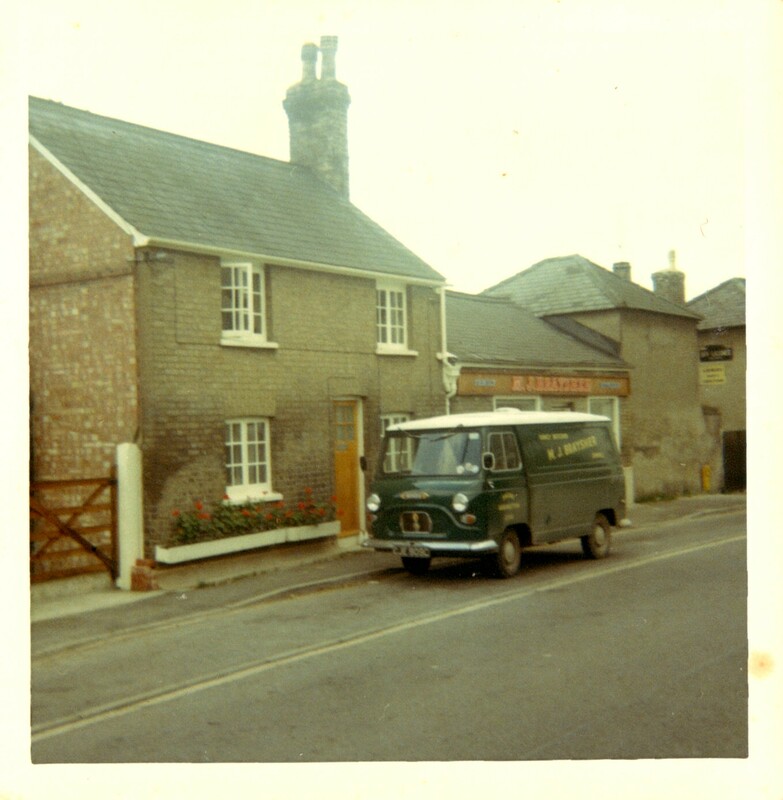 The butcher’s shop in the High Street, which I took over from Sidney Oliver in 1963 after working for him from 1955, was originally thatched and timber framed. It is believed to have been a butcher's shop since the mid 18th century. Henry Oliver, butcher from 1850 till 1903, put a brick front on the shop and when I took over, the Public Health Department made me cover up all the old beams with their iron hooks and replace the wooden floor with concrete. Three lorryloads of sawdust and fat were removed from under the floorboards and burned for a week in the back yard. In the Oliver family’s time there were cattle and pig pens and a slaughterhouse behind the shop. When animals were slaughtered, the blood flowed away under the buildings into a ditch in the paddock behind, where Pearmain’s Close now is. 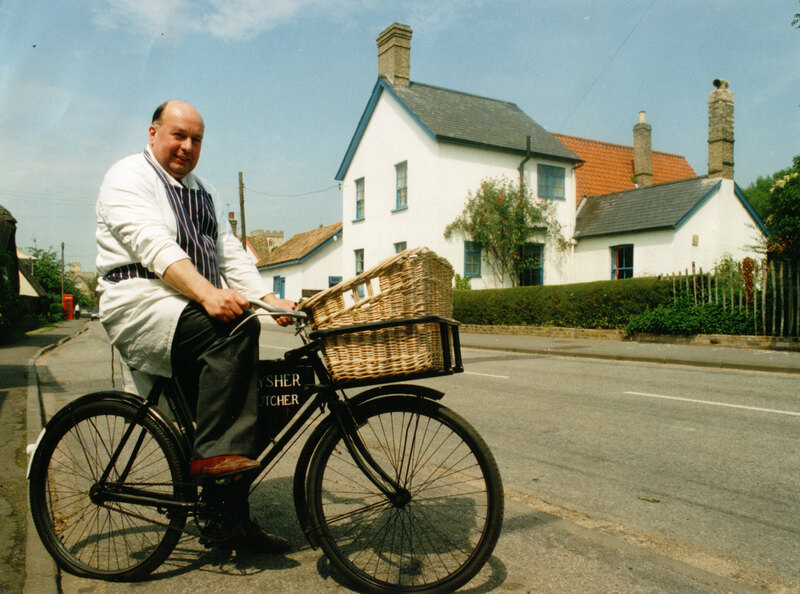 The land behind the shop was half Oliver’s and half Walter Pearmain the baker’s, and the Close is named after him. Runaway bull wrote off five police cars and an RSPCA van. with only two dogs to help him. In 1979 I bought a beast in Cambridge that escaped the abattoir lorry, ran down the main railway line towards London and got off at Trumpington Hall. It then returned to the railway, ran to Cambridge Station, jumped a police car at Highsett, went into the bus station, knocked down a cyclist, demolished a wall, and wrote off five police cars and an RSPCA van. When finally slaughtered the animal was inedible and lost me £500, as well as putting me in court to face claims from the injured cyclist. Faggots and dripping were prepared in Mr Howard’s bread oven next door and I used to make sausages to Mr Oliver’s secret recipe, using home grown herbs and no preservatives. Our mincing machine, one of the oldest in the country, is now in Smithfield Museum. 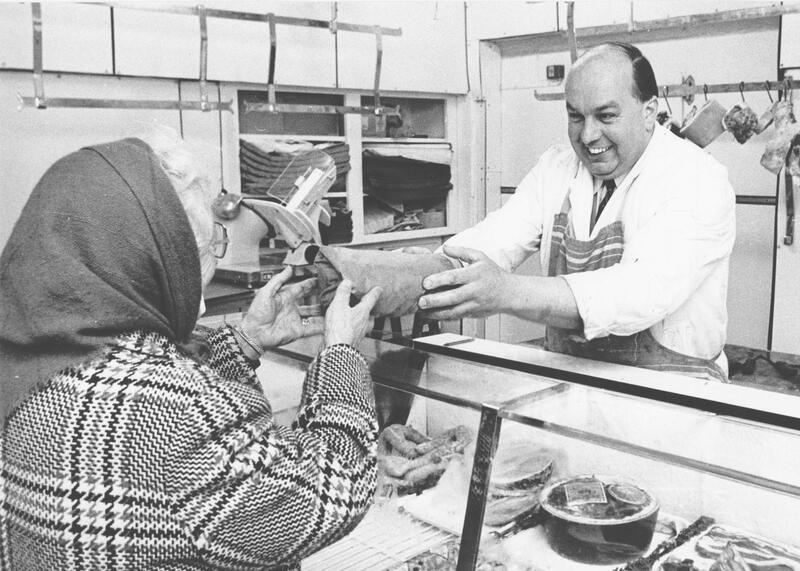 Before the war the butcher’s busiest time was 10.30 pm on a Saturday night, when the poorer families would come to buy the week’s leftovers, and while wartime rationing was in force we used to post small parcels of corned beef though customers’ letter boxes as there was little else to sell. This page was added by Pat Grigor on 30/09/2012. 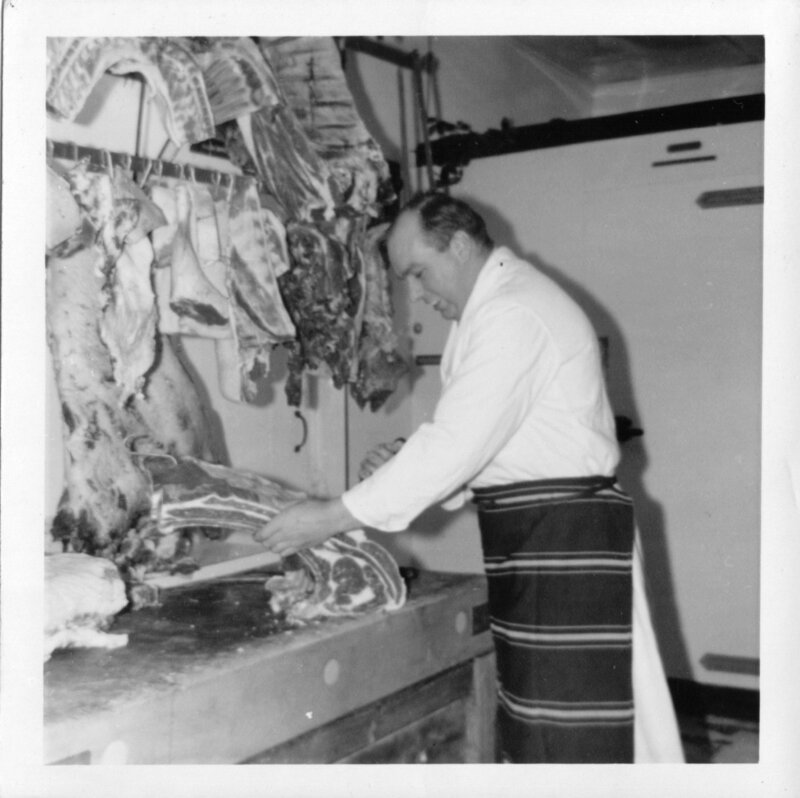 Michael used to provide our meat at The Bungalow Café for the 10 years we lived there from 1960-70. Magical days.